The Album 2000 [pay00] says « ≅1:2». The construction details are given, but since the overall ratio is approximate, the construction details are inevitably so. The two horizontal stripes are of the same size, of course, and the width of the vertical stripe is one third of the total length. The star appears to be inscribed in a circle with the center in the midpoint of the red stripe and of diameter equal to two units used on the scheme (i.e. 1/3 of hoist). I read somewhere in the 1st constitution of Guinea Bissau (or maybe in the Statutes of P.A.I.G.C.) that the three areas of the flag are to have the same area, saying nothing about the final ratio of the flag — therefore a, say, 2:3 ratio might be not really a mistaken depiction. The protocol manual for the London 2012 Olympics [loc12], with info approved by each NOC, gives for Guinea-Bissau PMS 032 red, 109 yellow, 355 green and black. I should say that some of these colors seem to me to be just too dark: PMS 032, for one, is British red, which is known to be darker than regular red, while PMS 109 is suitable for the national flag of Germany, knowingly “darker” than regular yellow. The green stripe of the national flag of Guinea-Bissau is noticeably brighter than the the green areas of the national flags of Brazil and Portugal (these three flags are easy to find flown along in coherent displays), which are known to be prescribed as dark green — so, PMS 355 seems okay. I suspect that there’s not really a fixed prescription and the only care is to have all flags (identical or not) turned to the same direction — this is especially relevant when said vertical hoisting (hanging) is done from a stretched rope or wire, not against/on a wall, and can thusly be seen from both sides (and this is, in my opinion, the proper, vexillologically informed way to deal with vertical hoisting at all). 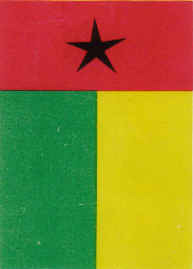 In the book História da Guiné e Ilhas de Cabo Verde, by PAIGC, 1974, the image on the cover is a vertical Guinean-Bissau flag (with a “leaner” star). The book does have only one image on the cover page, which is like the national flag in vertical position, with the difference that it has an irregular star, pointed to the top (of the image/book). 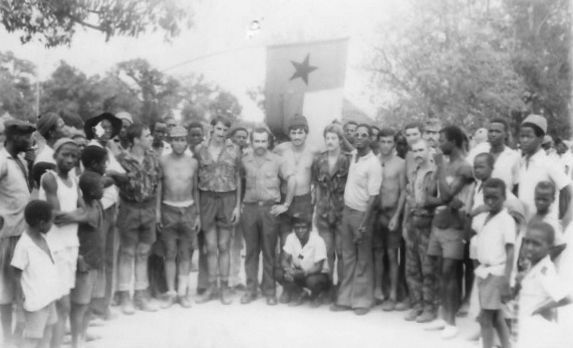 A photo on the book História da Guiné e Ilhas de Cabo Verde, by PAIGC, 1974, shows the assembly of Madina do Boé (place of the unilateral declaration of independence, 24 Sep. 1973) in the bush or jungle with lots of small flags and a large one in vertical position in a rope like clothes to dry. The main flag, and some small, are shown with the darker (the green) stripe to the right, which means we see the reverse side of the flag (it’s not a reversed image, because there are some bands with words that we can read). The photo is captioned «Bruna Amico © Gamma, Paris». With the examples of this book and Cabral’s poster, I wonder if there is trend or old habit to use the Bissau-Guinea flag in vertical position. 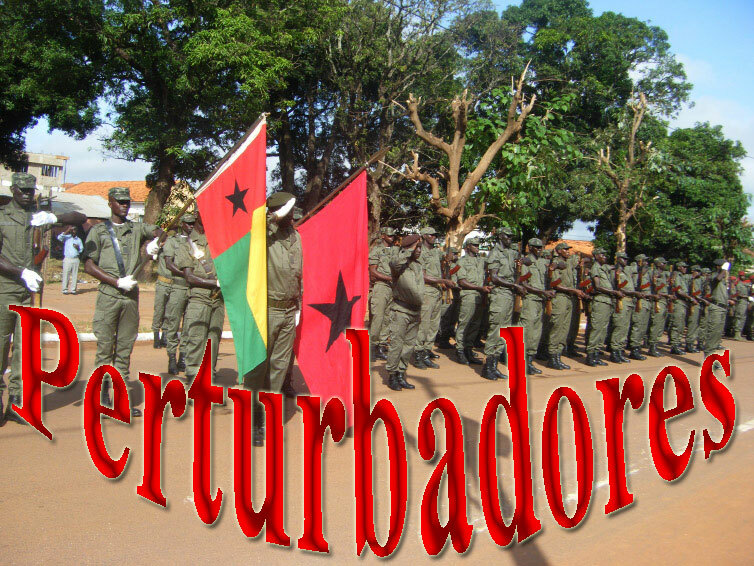 It seems that Armed Forces or Army of Guinea Bissau has an own flag. Based on this picture (here) it is red with a large black star in the middle of the flag. Please note that aircraft marking has a similar design. 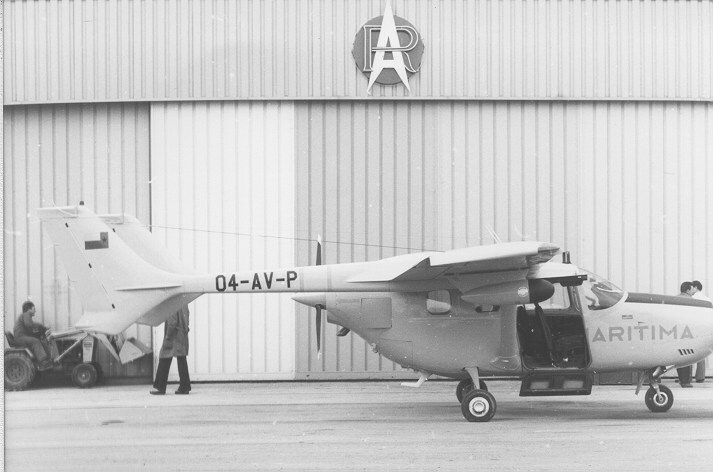 Guinea Bissau also have a Coast Guard, G. C. Marítima, whose plane have a national flag as fin flash. See this photo.